Crozet Library is the first building in the town’s new Masterplan District designed to energize and revitalize the historic downtown area. 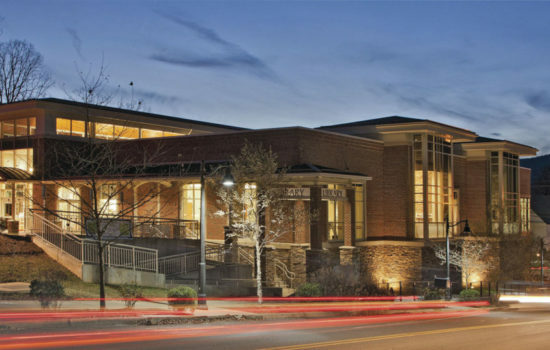 Situated at a prime, pedestrian-friendly intersection, the new library welcomes the community into its inviting spaces, having seen an 88% increase in circulation of its 75,000 volumes after its opening. 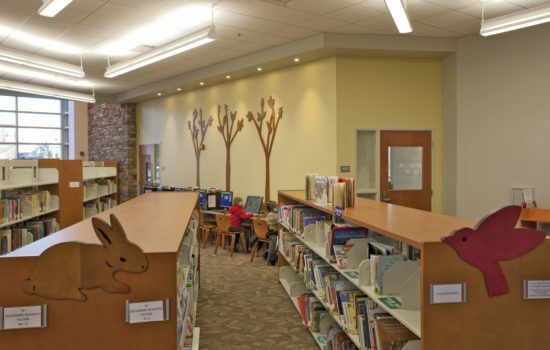 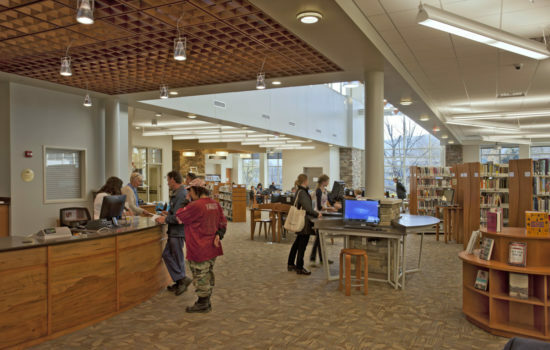 With vast local support throughout the design and construction process, the library is a true representation of the community and its aspirations. 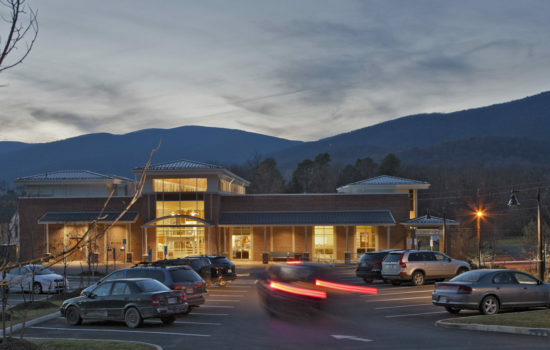 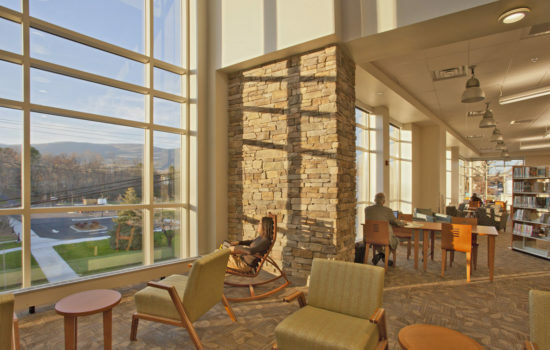 The building’s central circulation spine, with clerestory glazing, is oriented east to west, recalling Crozet’s tunnel that connected eastern Virginia to the west though the Blue Ridge Mountains. This spine feature expresses the rich local traditions of bridge building, engineering, railroad influences, and early American ideals of westward expansion. 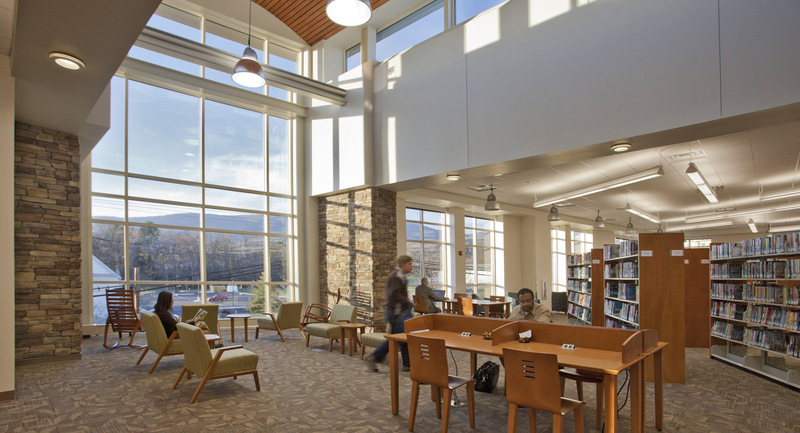 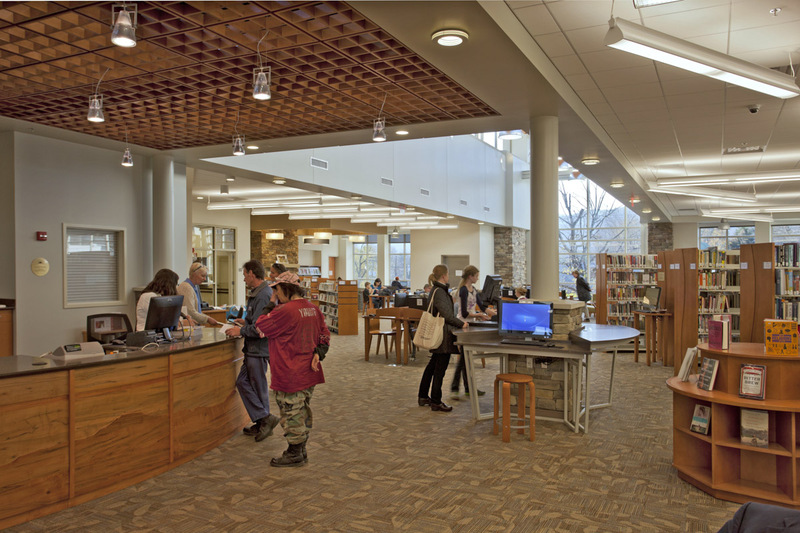 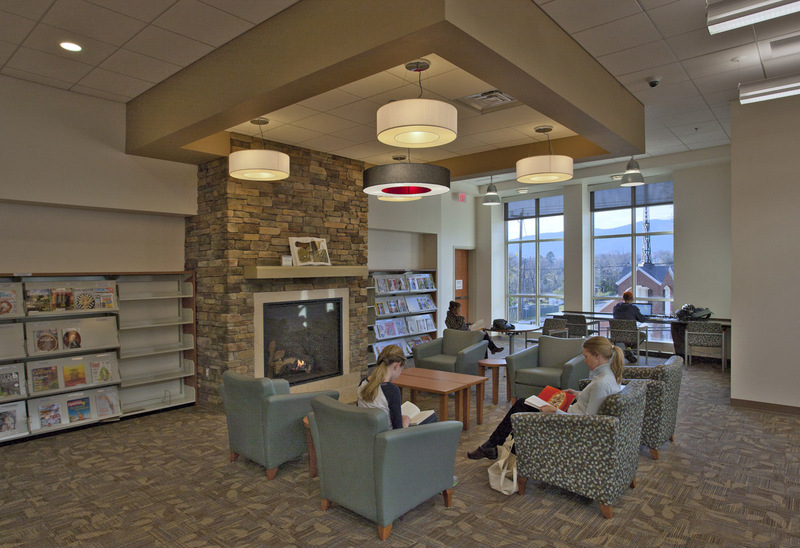 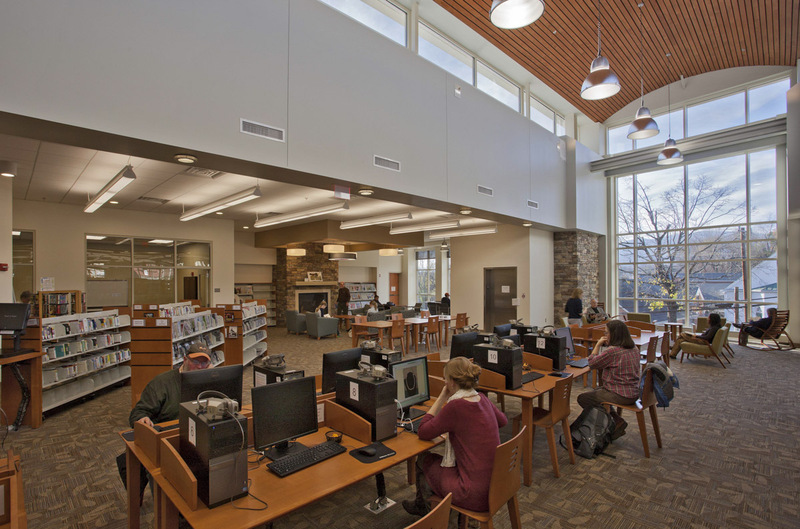 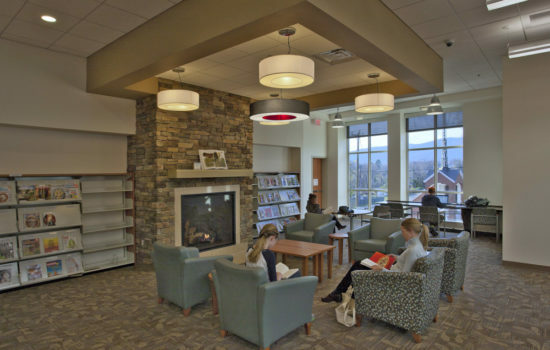 The interior focuses on creating warm, inviting areas where library patrons can read, study, work, relax, and share ideas while connecting to the downtown district and looking out to the mountains beyond. 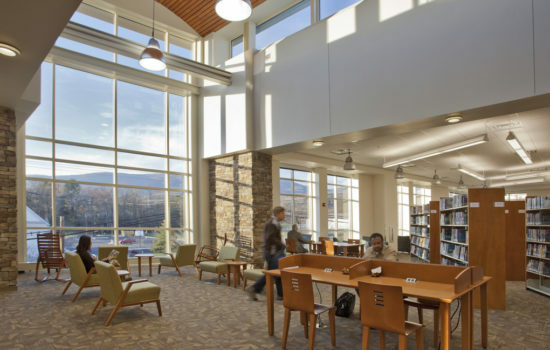 Additional building program elements include community meeting rooms; distinct adult, teen, and literature stack areas; reading and study areas; and staff workrooms and offices.